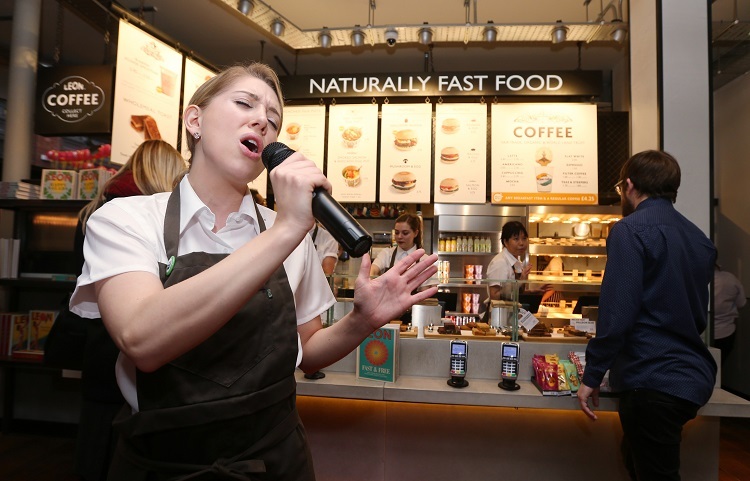 After raising the curtain at its new Shaftesbury Avenue restaurant on 13th February, the healthy grub outlet will serve the usual menu of salads, wraps and hot food boxes with one almighty twist – it is staffed by a cast of 40 undiscovered singers. It turns out life is a cabaret for these drama and musical theatre students from past and present, who take it in turns to perform live throughout the day in between serving customers their beloved fish finger wraps and quinoa pots. Each of the performers secured their role after impressing a professional panel, made up of Helen George (Call the Midwife), Alexander Armstrong (Armstrong and Miller), Anna Shaffer (Harry Potter) and Jay Aston (Bucks Fizz). Expect to hear covers of classic showtunes such as Les Misérables I Dreamed a Dream as you tuck into that falafel. The décor reflects what we all know and love of Theatreland, including a red carpet, a lift designed to look like a royal box and posters of classic musicals, in addition to photos of staff members dressed for performances and the ‘LEON lady’ logo displayed draped in glitter. 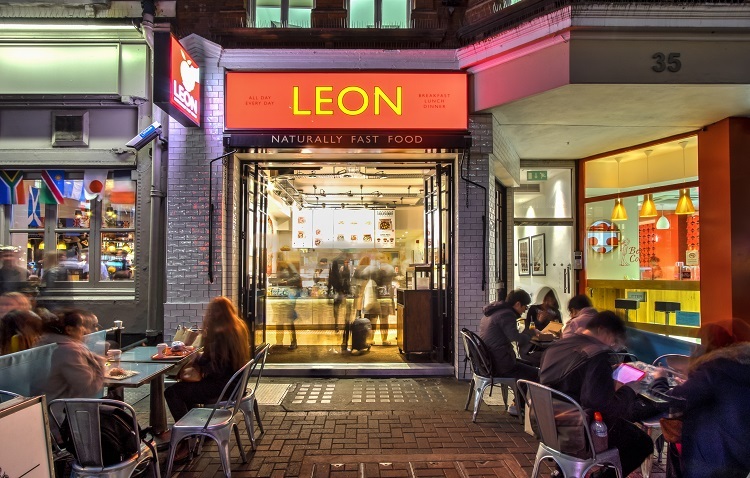 With 42 stores across the UK (plus one in Amsterdam), LEON is fast becoming a household name, just as the staff at this West End outpost hope to. Here’s wishing all the cast ‘break a leg’ luck – and that’s a wrap for now!